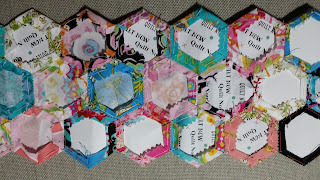 Sew Says Mimi: Pentagons, Hexagons...Oh my! 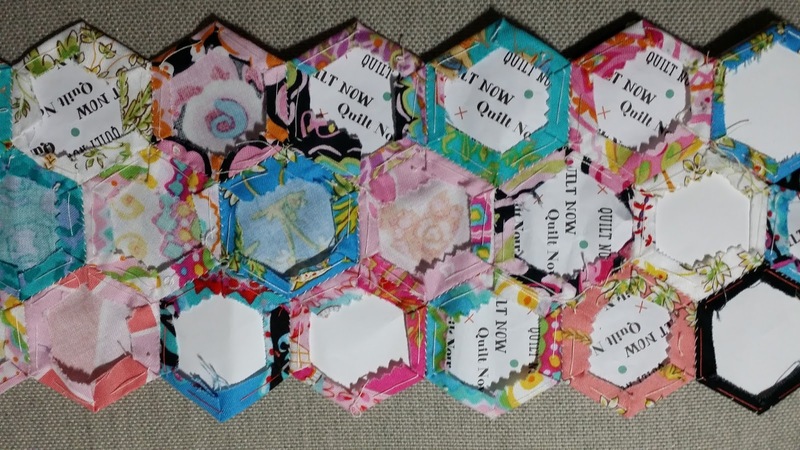 For a great summer traveling project, I love English paper piecing hexagons, or pentagons...diamonds... etc. 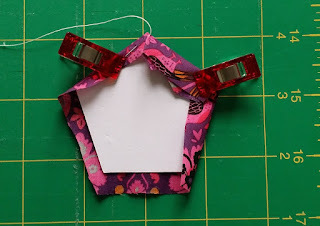 They are very portable and easy to sew. I prefer card stock shapes. You can either buy precut , or you can google "hexagon template sheet" and print and cut your own.. There are also a number of diecut machines available to the home crafter. 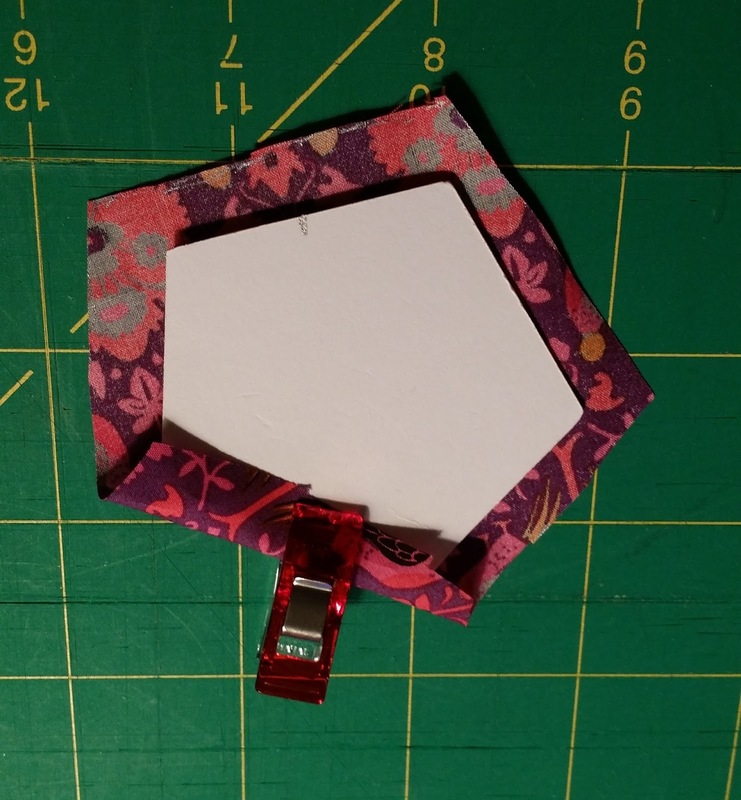 Most directions tell you to cut the fabric the size of your template, plus a ¼” seam allowance on each size. I find it’s easier if the seam allowance is a bit bigger, and it doesn’t need to be exact..about 3/8” is better. The first step is to fold one edge on your template, and clip with a wonderclip. Now to baste the edges over…. I use cotton thread.. and a long thin needle.. straw, milliners or applique sharp will be best. Thread the needle and knot one end. 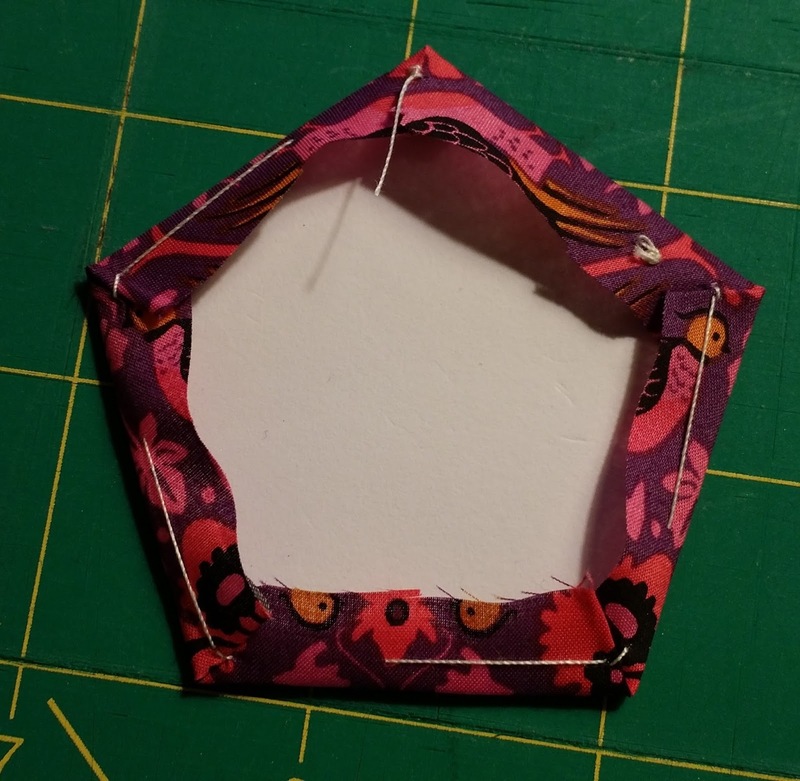 Take a stitch in the seam allowance, then fold the fabric at the point and take a stitch at the point, then a 2nd stitch in place, then move on to the next point turning the fold and stitching.. at the last point, take an extra tack stitch .. and you are done! 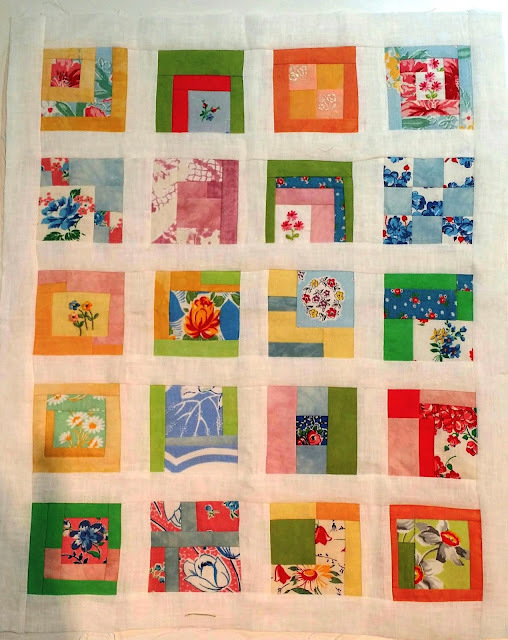 Now make a whole bunch of them, the sew them together using a small whip stitch or a ladder stitch. Thought you might like to see what the front looks like..These are small hexagons, cut from a jelly roll (2 1/2" strip) collection from Free Spirit Fabrics.